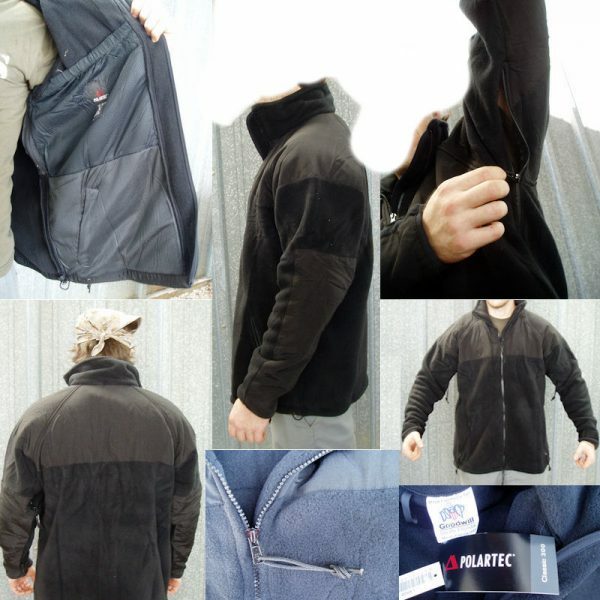 People are buying these Polartec fleece jacket liners because they are made with super high quality Polartec 300 material. While they are actually a 3/4 length liner for the ECWS(extreme cold weather system) goretex parka, they make a great jacket by themselves. The jacket is lightweight yet luxuriously thick and warm. This military issue coat features a high neck so you can seal in your body heat where it is known to escape the easiest. The cuffs have h00k-n-loop closure to seal-off the wrists. Inside the chest area are 2 very large elastic netted pockets that can be utilized to store all of your winter gear accessories like scarves, gloves, and hats. 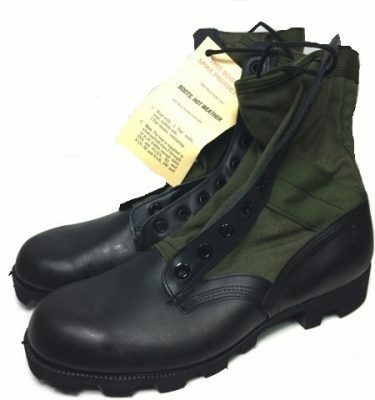 And if you are on a long hike or involved in strenuous work and activity, you can keep yourself from getting too hot with the underarm zippered ventilation system. 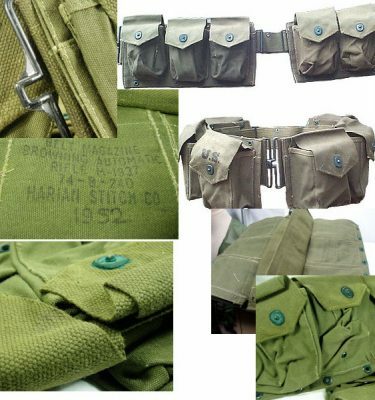 Of course, there are two outside hand pockets that are zippered so you can secure any valuables or essentials you have with you .Finally, the bottom waist area can be gathered shut with the use of the elastic cord and lock system. The color is Black. 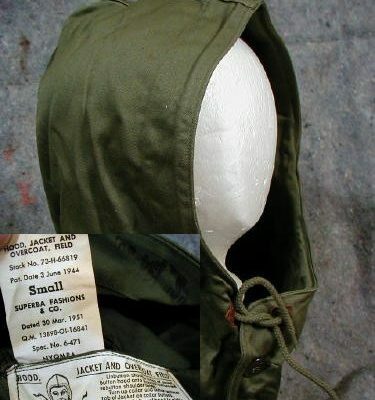 These jackets are government closeouts from previous issue with the Woodland ECWS parkas, only available in X-large. We were able to purchase a large quantity of these coats at a great price. Most high-end retail outdoor shops would have to charge at least twice as much for a coat of this quality. 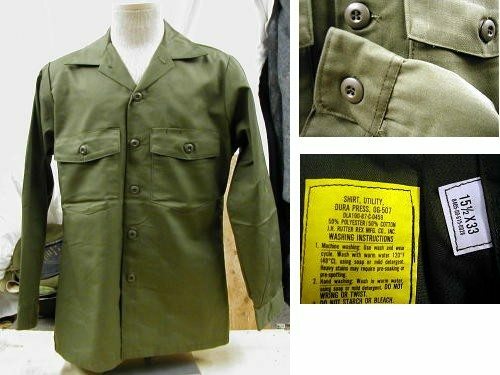 Buy one now before this classic military jacket is part of surplus store lore! New, Black Military Issue Polar tec Fleece Jacket, ECWS Liner, U.S. made- original U.S. military packaging. 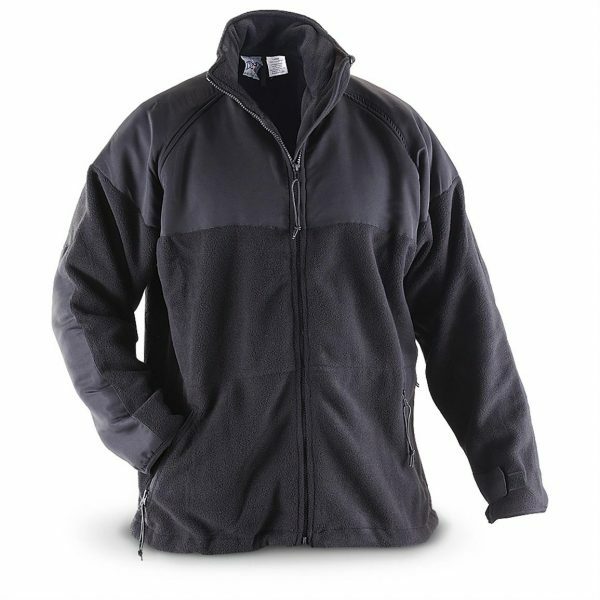 Zippered under arms for easy ventilation, 2 large inner breast pockets, adjustable hook and loop cuffs.